Do you frequently or always hear ringing in your ears? Does the sound bother you or otherwise affect your ability to enjoy daily life? Does ringing in your ears interfere with or inhibit your social life or other activities? If so, then you may have a hearing loss condition known as tinnitus. 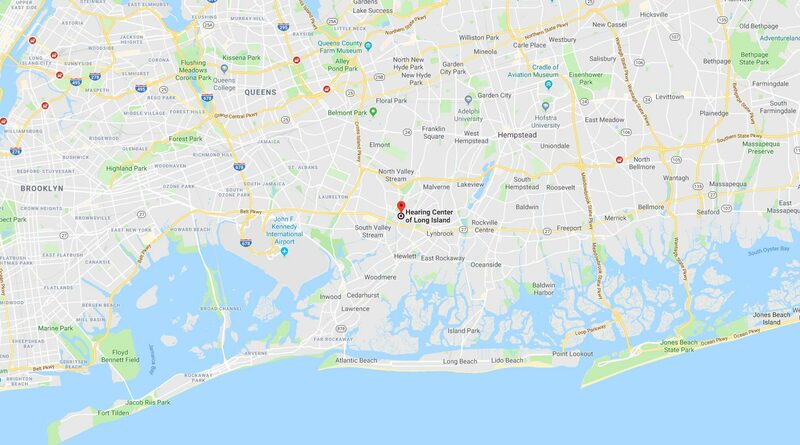 At Hearing Center of Long Island, our experts offer cutting-edge tinnitus treatment near Lynbrook, NY, to help you gain relief from the ringing in your ears. Tinnitus is a fairly common condition that can cause you to hear a ringing, rushing, or buzzing sound in your ears. Tinnitus is present in approximately 75% of all people who suffer from hearing loss. Although it will not cause you to lose your hearing, tinnitus is a leading indicator of hearing loss, whether mild or severe. While tinnitus affects each person differently, it can significantly impact your daily activities and quality of life. Our experienced, compassionate audiologists will perform a thorough evaluation of your hearing needs and recommend a state-of-the-art treatment plan to help ease your persistent problem. Schedule Your Assessment for Tinnitus Treatment near Lynbrook, NY, Today! Call 516.872.8485 or click here to schedule your appointment– we can’t wait to make you the newest member of the Hearing Center of Long Island family! Do you or a loved one suffer from tinnitus? 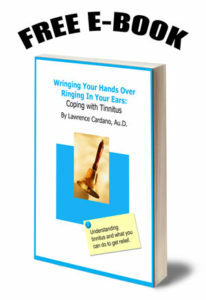 Download Dr. Cardano’s FREE E-book, “Wringing Your Hands Over Ringing in Your Ears: Coping with Tinnitus,” for helpful tips and advice. Don’t let the ringing in your ears keep you from living your best life – download our FREE E-book today!